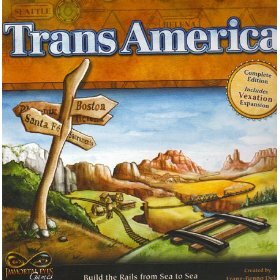 A great way for kids to learn the names of common cities around the United States, play TransAmerica! My kids, well, some of them...the 4 and up group...love this game. You build train tracks across the US connecting city cards that you picked up at the beginning of the game. First one to connect all their cards wins that round. Great game! This does sound like a great game to learn the names of cities and where they are on the map! We have a 4 ft. map hanging in the "school room" that has helped a lot with geography, but a game would certainly be more fun. Have the north side of it not only be up, but be facing north. This is also true when hanging a map, put it on a north wall. That way west will be west and east will be east! Even if you have a GPS, you better learn how to read a map! I just learned about a GPS instructing someone to turn their auto onto a snowmobile trail! Oops, back to the drawing board!